Brendan joined the Welch LLP team as a co-op student in 2013. After graduating from Carleton University with a Bachelor of Commerce degree in 2014, he joined Welch full-time as a staff accountant. He subsequently completed his Master of Accounting (MAcc) as part of the program’s inaugural class at Carleton University in 2016. He then went on to receive his Chartered Professional Accountant and Chartered Accountant (CPA, CA) designation in 2017. 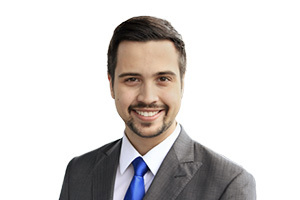 Brendan’s experience includes audits, reviews and notice to reader engagements, primarily for small and medium sized enterprises, not-for-profit organizations and government entities. He also is experienced in providing personal and corporate tax services.